Will Deborah Pauly’s DUI derail her campaign for the 68th Assembly District? 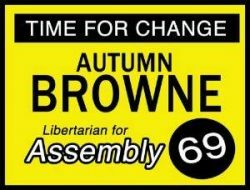 Who will you vote for to replace Don Wagner in the 68th Assembly District? Deborah Pauly, a former Villa Park councilwoman and a candidate for state Assembly, was arrested in Anaheim earlier this month for drunken driving, according to a spokesman with the Anaheim Police Department, according to the Voice of OC.